Horses are a prey animal and were designed to use any excess energy for flight which is the horse’s only defense from attack so the way their brains are wired and other anatomical attributes make them capable of moving their vast weight very quickly and efficiently. 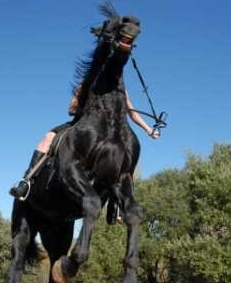 The challenge for the rider is to harness and direct this energy to a ‘controllable’ form . Nervousness may simply be a response to horses being fed in excess to their daily requirement. In this case energy can be retained as glycogen stored in the liver and / or muscles or else converted into fat within the muscle. A horse away from its familiar surroundings will feel threatened particularly if it has been over fed where that excess energy will affect behaviour. Horses demonstrate different forms of nervousness: some arising from the brain itself (right brain and amygdala responses), neurotransmitter disruption ie serotonin and melatonin balance, dopamine production (leading to COD) and others within the muscle fiber exhibiting overall tension and unwillingness to move forward and straight. Yet others in their digestive system leading to ulcers and then there are those that react to the adrenals leading to excess a hyper alert state. 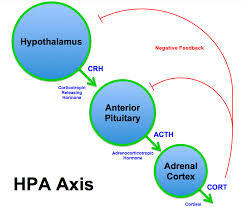 This diagram refers to the stress axis which will, if not properly addressed will lead to a high cortisol set point making the horse ever increasingly reactive. Eventually the constant activation of the adrenal glands can lead to adrenal exhaustion and a complete disruption to the endocrine, immune and nervous systems. Excess energy in the diet. Neurotransmitter dysfunction caused by low levels of essential fatty acids. An imbalance to the nervous system can affect the digestive, circulatory and respiratory systems. Freezes and rigid tension beneath the saddle. Tension is held in the muscle. Hyperactive will not stand still. May develop habits like weaving and crib biting. Scours and diarrhoea. More prone to colic attack when under stress. Loss of weight and coat condition. Short attention span and the horse’s inability to focus on the lesson. Ensure that energy in is more or less equal to energy output. Address energy levels and what can be regarded as ‘cool’ feed and what is heating. For more information follow this link to the natural feed program. Ensure that the horse is not on ‘hot’ pastures that have high ‘sugar’ content. Supplement with magnesium which will help calm the horse naturally and provide a mild calcium channel blocker to further calm neuro-activity. Deficiency can lead to nervousness and excitability, muscle tremors and ill temper. A good feed regime may include boiled barley ( some horses can get hot on this too so just experiment) , linseed and oils that are rich in gammalinoleic acid. Ensure that the horse has the correct balance between concentrates and roughage.(cellulose) . Cellulose is processed in the cecum . This is a large sac located at the junction of the small and large intestines which houses billions of micro-organisms for the digestion by (fermentation) of cellulose and other fibrous plant tissues.These microbes make energy constantly available to the horse in the form of VFA (volatile fatty acids) as well as synthesizing B vitamins (brewers yeast is a great source) and protein . These microbes are dependent on the proper acidity or pH of this part of the intestinal tract. Large fluctuations in the pH can cause changes in the population of microbes. High sugar diet will increase the ratio of acid loving microbiology making the horse more reactive to grasses. Soluble fibre is invaluable to protect mucus layers through the digestive tract.Examples of this would be linseeds (ground just before feeding) soaked fenugreek seed, chia seed, marshmallow. Ensure that horse doesn’t have a thiamine B1 deficiency. A healthy nervous system requires B vitamins. Feed a tablespoon of brewers yeast daily. See our article link here where we discuss the anatomical differences within the brain and how we can modify some behaviours. The following natural products may be given to assist when dealing with the nervous horse. 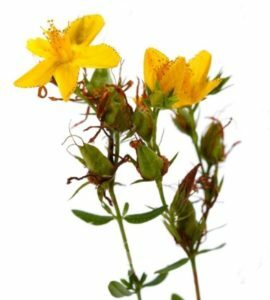 St John’s Wort (Happy Horse) extract which works on the seratonin levels of the brain increasing feelings of contentment. This may be given in conjunction with Hira Anti-Al MAG as part of a long-term program for making the horse more receptive to training. Anti-Al Mag Tonic contains a blend of added extracts of chamomile, scullcap, calendula, Lemon Balm, ashwagandha vervain and ionised magnesium. It is suitable as a long term settling aid for retraining a horse and during the show season. Chamomile Calm is suitable for horses that tuck up and scour when upset and travel badly. 10ml half an hour before travelling. May also be used long term for digestive nervousness and scouring. Hira Calm( valerian extract) may be used for its short term sedating effect. Suitable for horses that tense muscles and are stiffen up over the topline and those that are prone to sub-clinical tying up. 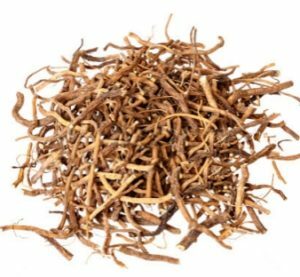 Hira Seda-Horse concentrated extract include a mix of calming herbs (scullcap, ashwagandha, chamomile, vitex agnus vervain, vincamine etc) may be used as a long term settling aid. 2-5ml daily in feed. Short term calming effect 10ml is to be given half an hour before a first time event . 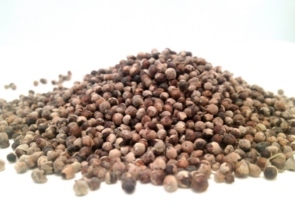 Active ingredients in Vitex agnus act on the pituitary gland in the brain and may help with horses that exhibit adrenal reactivity. Notably seen in horses that stand for long periods with its head up staring into the distance. Ensure that you are not feeding your horse additives and feed mixes that have molasses, lucerne and corn in them. Molasses can act like a glucose fix. Excess protein can also ‘hot’ up a horse. Some soya bean and lucerne feeds can affect behaviour too. Omega 3 oils are essential for the health of the nerve fibres. They provide a protective layer around the nerve preventing the breakdown of the fibres. 2-3 tablespoons of Hira Omega Oil Complex will address these issues. This will help with the metabolism of glucose. In some cases horses need to be taken off high octane pastures that have been ‘designed’ for dairy milk production. Extra magnesium and calming herbs may be given during troublesome conditions. Provide cool calories in the form of coconut oils. Between third and half a cup daily.